Deputy Éamon Ó Cuív: I asked the Minister whether a moratorium was in place or not. The question has nothing to do with a specific application. I am talking about a general policy issue of a moratorium which the Minister's Department put in place under the seafood programme. It is a simple question. Is there a moratorium in place under the seafood programme? Perhaps the Minister might answer that question in view of the issue I have raised in the House which has nothing to do with a specific application but with the generality of the moratorium in place. An Leas-Cheann Comhairle: Does the Minister have an answer? An Leas-Cheann Comhairle: As the Minister has no answer, we will move on. Deputy Éamon Ó Cuív: The silence says a lot. Deputy Simon Coveney: There is no moratorium in place. Deputy Éamon Ó Cuív: There is. The current National Development Plan states: ‘The targets for increased productive capacity for salmon will now have to be deferred until after 2013 at the earliest as a result of the amendments made to this programme… during the SEA (strategic environmental assessment) process’. The concerns related to the negative impact of sea lice emanating from salmon farms on wild salmon, said SBB, and were submitted by the former central and regional fisheries boards and supported by the Department of Communication, Energy and Natural Resources (DCENR). Do you know what you are eating? Do you know the truth behind farmed salmon across the world? Jimmy:Very eye opening video! The threat of ISA and other fish deseases spread through fish farming or feed lotting practices, can also decimate wild, migratory Atlantic fish populations in Newfoundland and Labrador as well as the other Atlantic provinces. It is very disturbing to me to see how Government hides data and uses intimidation tactics to cover up this real threat to a very important keystone species and integral part of our ecosystem, so as to protect big industry and trade agreements with other countries. These lying, blinky, shifty eyed politicians make me cringe. John: Government corruption, disease, scientists gagged and almighty lies by the salmon farming companies. It's all in there, exactly the same thing that is happening in Scotland. This film is the wake up call to Scotland's people who care for the survival of Wild Scottish Salmon. 20 Years later it seems nothing has changed and nothing learned. 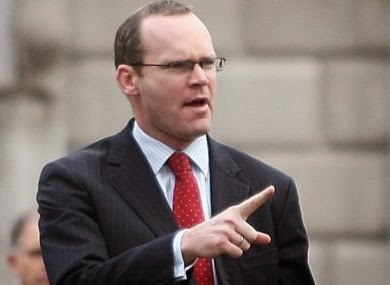 Only this time the worlds biggest salmon farm is being proposed by Simon Coveney. 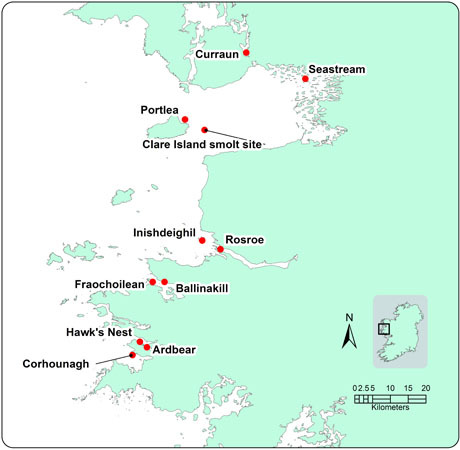 If approved, will have the capacity to wipe out ALL juvenile sea trout and salmon along the Western Sea Board of Ireland. 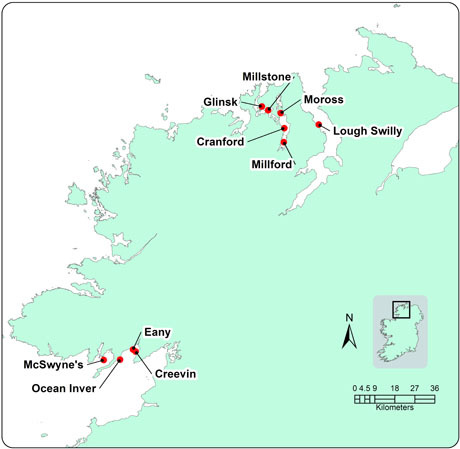 Not only effecting the West Coast but the South Coast of Ireland together with German and France's migrating salmon smolts on which these salmon farms lay on their migratory path. Not only now, is this an Irish issue but a very serious European issue effecting other countries. Albany, New York — A study published this week in a leading scientific journal found significantly higher levels of cancer-causing and other health-related contaminants in farm raised salmon than in their wild counterparts. The study, published in Science and by far the largest and most comprehensive done to date, concluded that concentrations of several cancer-causing substances in particular are high enough to suggest that consumers should consider severely restricting their consumption of farmed salmon. The majority of salmon served in restaurants and found on grocery store shelves is farmed rather than wild. In most cases, as detailed in the study, consumption of more than one meal of farmed salmon per month could pose unacceptable cancer risks according to U.S. Environmental Protection Agency (EPA) methods for calculating fish consumption advisories. The Pew Charitable Trusts, one of the U.S.’s largest philanthropies, sponsored the study. Pew has sponsored major research on fisheries including a number of widely reported recent studies on the deterioration of the marine environment. Whereas earlier studies have analyzed anywhere from 8 to 13 salmon samples from individual salmon farming regions, the current study analyzed fillets from about 700 farmed and wild salmon produced in eight major farmed salmon producing regions around the world and purchased in 16 large cities in North America and Europe. The study’s authors, six U.S. and Canadian researchers representing fields from toxicology to biology to statistics, selected salmon samples to be representative of the salmon typically available to consumers around the world. The researchers found significantly higher concentrations of contaminants in farmed salmon versus wild. In particular, four substances that have been well studied for their ability to cause cancer — PCBs, dioxins, dieldrin, and toxaphene — were consistently and significantly more concentrated in farmed salmon as a group. Among the study’s conclusions, salmon farmed in Europe were generally more contaminated than farmed salmon from North or South America. Farmed salmon purchased for the study from supermarkets in Frankfurt, Edinburgh, Paris, London, and Oslo were the most contaminated and triggered consumption recommendations of one-half to one meal per month — based on U.S. EPA consumption advisories for these contaminants. A meal was considered to be an eight-ounce portion. Farmed salmon purchased from supermarkets in Los Angeles, Washington, D.C., Seattle, Chicago, New York, and Vancouver triggered a recommendation of no more than two meals per month. There was slightly more variation in fish purchased in North America than those purchased in Europe. While farmed salmon purchased for the study in New Orleans and Denver were generally least contaminated — triggering a recommendation of about 3 meals per month — farmed salmon purchased in Boston, San Francisco, and Toronto triggered the more stringent consumption recommendations of the European-purchased fish. "Ultimately, the most important determinant of risk has to do with where the fish is farmed not where it is purchased," said Dr. David Carpenter, an author of the study and Director of the Institute for Health and the Environment at the University at Albany. "And because it’s a global market, it’s hard to be sure what you’re getting." According to Carpenter, "Just because Europeans have the most contaminated farmed salmon, this doesn’t mean American consumers shouldn’t be concerned." With very few exceptions, farmed salmon samples tested significantly exceeded the contaminant levels of wild salmon, which could be consumed at levels as high as 8 meals per month. Even the least contaminated farmed salmon, from Chile and the state of Washington, had significantly higher levels of PCBs, dioxins, and dieldrin than wild salmon. The Pew-sponsored study concluded that the contamination problem is likely related to what salmon are being fed when they’re on the farm. While wild salmon eat a diverse buffet from small aquatic organisms like krill to larger fish, farmed salmon are fed a concentrated and high fat mixture of ground up fish and fish oil. And since chemical contaminants a fish is exposed to during its life are stored in its fat, the higher fat "salmon chow" passes along more of these contaminants to the farmed salmon. The study’s results confirmed this possibility when it found higher contaminant concentrations in salmon feed from Europe than feed from North and South America, a result roughly consistent with contaminant levels in European and American salmon. Given the overall contaminant levels found, if these were locally caught fish instead of fish purchased commercially EPA and many state consumption advisories would suggest that consumers restrict their consumption of farmed salmon to an average of no more than one meal per month. However, consumers need to be aware that in some cases even that could exceed advised contaminant exposure levels. EPA’s consumption advisories use acceptable lifetime risk levels to identify the maximum number of fish meals per month that can be safely eaten. "If anything, the study conservatively estimates the health risks from the contaminants in farmed salmon," said the University at Albany’s Carpenter. The EPA fish consumption guidelines don’t take into account exposures people have to the same cancer-causing substances from all other sources in the environment. "They assume," said Carpenter, "that fish consumption is the only source of exposure people have to these substances; and we know that’s not true." "Also," according to Carpenter, "the recommendations only consider the risk of cancer and don’t take into account the neurological, immune, and endocrine system effects that have been associated with these contaminants." Consumers interested in knowing whether salmon is wild or farmed should be aware that the word "Fresh" on the label does not mean the salmon is wild-caught from the ocean. And any salmon labeled "Atlantic" in the U.S. is almost always farmed. Salmon labeled "Atlantic" in other countries is most likely farmed. The authors recommended that governments require clear and prominent labeling of farmed and wild salmon as well as the country of origin of all farmed salmon. The authors also said their results strongly reinforced the recommendations of a July 2003 National Academy of Sciences report on dioxins in the food supply which called for reducing dioxin levels in animal feed such as fishmeal. Since contaminants build up in the fatty tissue of the fish, the authors point out that consumers may be able to reduce their consumption of contaminants in farmed salmon by following the recommendations of many state governments and the federal government to remove as much skin and visible fat as possible. However, it is difficult to determine how much of the contaminant load can be removed in this way. In assessing the human health risks of consuming farmed salmon, the authors of the study used U.S. EPA consumption guidance for PCBs, toxaphene, and dieldrin covering locally caught fish rather than U.S. Food and Drug Administration (FDA) standards for these substances governing commercially-sold fish because EPA’s recommendations are based on health effects only. While FDA is the agency that actually regulates contaminants in commercial fish, unlike EPA FDA does not have consumption standards for toxaphene in fish, and the agency’s standards for PCBs and dieldrin weren’t set using purely health-based criteria. According to Dr. Barbara Knuth of Cornell University and one of the study’s authors, "Because the FDA regulatory levels take into account factors such as effects on the food production system, they were never designed to consider exclusively human health risk-which was the only concern we were looking at in this study." "Plus," said Knuth, "the health and diet information and the technology FDA used to help set the regulatory levels for PCBs are 20 years out of date. We can detect PCBs at much lower levels today; new studies provide more information about the health risks associated with these substances; and people eat more fish today." In fact, both EPA and FDA have agreed that FDA levels are inappropriate for setting fish consumption advisories (see last paragraph on p. 1-5 in the EPA National Guidance for Fish Advisories). Knuth said, "It’s this vast difference in the approach of the two agencies that explains why farmed salmon with these levels of contaminants could trigger such restrictive consumption recommendations based on EPA methods, but is still allowed to be sold legally in the U.S. by the FDA." The annual global production of farmed salmon has increased 40 times during the last two decades — making inexpensive salmon available to consumers year-round. Between 1987 and 1999, salmon consumption increased at an annual rate of 14% in the European Union and 23% in the U.S. Since 2000, over half of the salmon eaten globally has been farmed, coming primarily from fish farms in Northern Europe, Chile, and Canada. Largest study of salmon health ever undertaken set to begin in B.C. 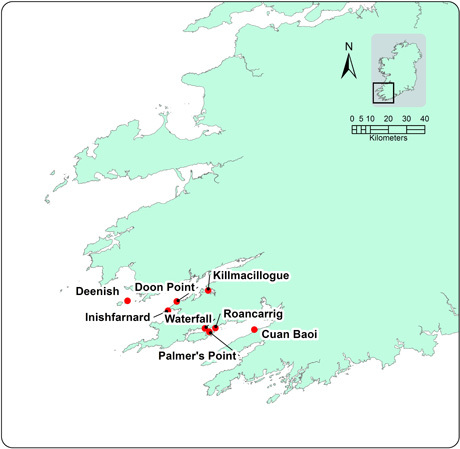 Locations of the salmonid farm sites operational in Ireland are indicated on the maps below. Sir, – According to Bord Iascaigh Mhara (BIM), Ireland is uniquely blessed among the salmon farming nations of the earth – sea lice infestations generated by Irish salmon farms apparently have no impact on migrating juvenile wild salmonids (Business, March 4th). BIM apparently knows something that has escaped the governments of Canada, Norway, Scotland and even Ireland itself which all have active programmes of research into the phenomenon and how it might be controlled or, better still, eliminated. 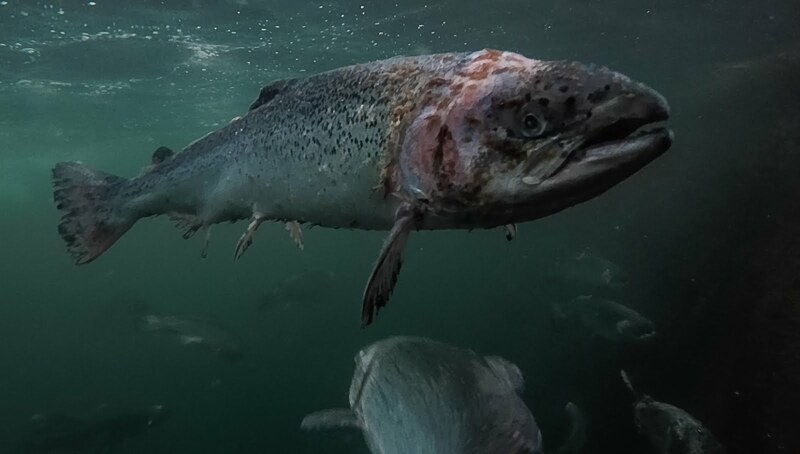 The Norwegians are so worried about the impacts of farm-generated sea lice and escapes of farmed fish that they have for a number of years now had a moratorium on any further expansion of their salmon farming industry. BIM bases its position about sea lice on highly tendentious interpretations of just three scientific papers (all three of which they have contended at one time or another to have been published by the Marine Institute, notwithstanding the fact they were published in learned journals by individual scientists). It has ignored the truckload of other published material on the subject of salmon farm generated sea lice and wild salmonids, virtually all of which comes to more or less the same conclusion – that badly sited and poorly regulated and managed salmon farms constitute a serious threat to juvenile salmon and sea trout migrating to their feeding grounds. It has also consistently either ignored or, on occasions, rubbished the warning signals raised by another State agency, Inland Fisheries Ireland. Provided that it has the legal basis for doing so it is, of course, fully entitled to apply for an aquaculture licence and to promote its project. As an executive arm of the Department of Agriculture, Food and the Marine, accountable to a Minister and ultimately to the Oireachtas, it is not, however, entitled to engage in behaviour designed to mislead both the Minister responsible for issuing the licence and the public as to the potential collateral damage which its project may cause. As things stand, this case is heading for a long drawn out legal contest in the High Court and possibly even in the European Court of Justice. This will take years and cost the taxpayer and the non-governmental organisations opposing the project a small fortune in legal costs. Would all interests not be better served by the Minister subjecting the entire project to a thoroughgoing independent, transparent analysis of the BIM environmental impact statement, the substantive case it purports to make and the extent to which it conforms with domestic and EU law? – Yours, etc, NIALL GREENE, Chair, Salmon Watch Ireland, Lisnagry, Co Limerick. 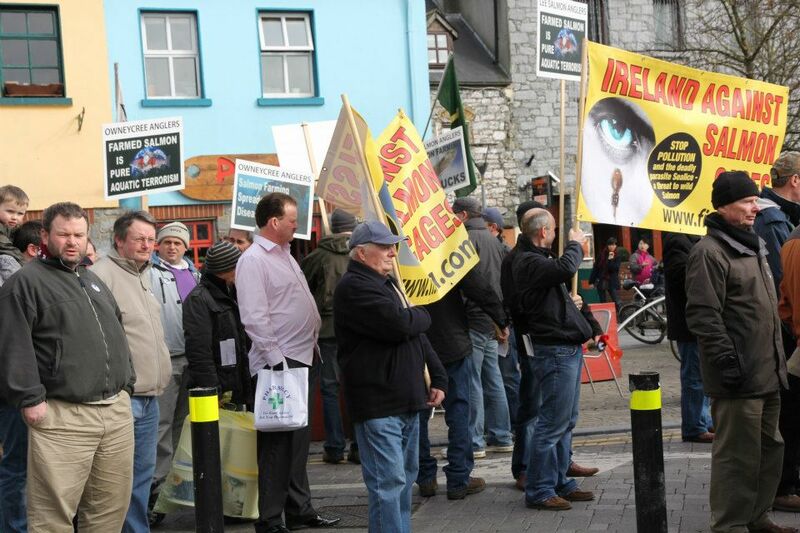 Video of the Protest March in Galway against the proposed Giant Salmon Farms for Galway Bay. Up to 2,000 people, waving placards and banners proclaiming “Save Galway Bay” and the names of more than 20 angling and protest groups, marched through Galway city at the weekend. 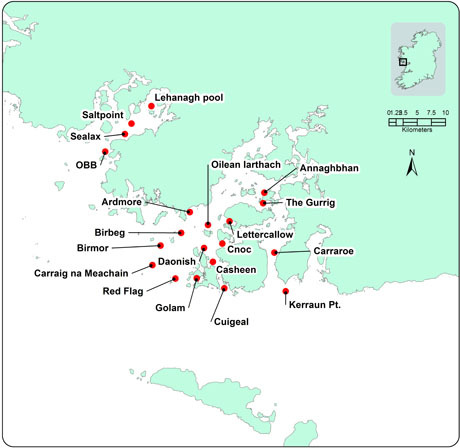 The march, which made its way from Eyre Square to the city’s Spanish Arch, was organised in opposition to Bord Iascaigh Mhara plans for a €100 million salmon farm to be located on a 456 hectare site in the lee of the Aran Islands, a mile from Inis Oírr. Up to 2,000 people have attended a protest march in Galway city - voicing their opposition to the government's plans to build a 15,000 tonne fish farm off the Aran Islands. Led by a lone piper, anglers and environmentalists from Galway, Mayo, Clare, Dublin and Donegal marched from Eyre Square to the Spanish Arch, where speakers including Independent Deputy Noel Grealish addressed the crowd. 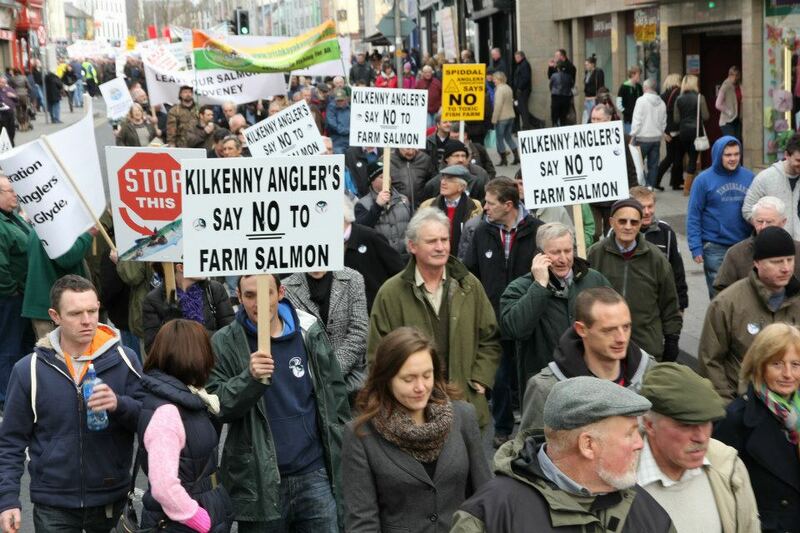 Demonstrators are warning the government the €100m project in Galway Bay could destroy wild salmon stocks in the region. Seamus Sheridan is Green Party Spokesperson Agriculture Food and Marine and Green party member in Galway West. I’d like to address points and claims made in the glossy brochure that BIM sent to each house in Galway via The Galway Advertiser. Ireland, and particularly the West coast, has a massive potential to create a sustainable, profitable and exciting aquaculture sector. Our clean waters, seaweed and algae resources, energy potential and fishing communities all combined with the excellent work and research being undertaken by the Marine Institute and NUIG set us apart from the rest of Europe. How we as a community choose to harness these resources however, needs foresight and wise consideration. 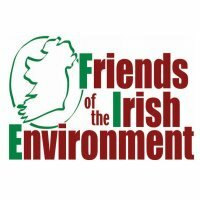 Up to 2,000 people have marched through Galway City in protest at plans by Bord Iascaigh Mhara to locate a €100 million fish farm on a 456 hectare site in the lee of the Aran Islands. The marchers who wielded banners proclaiming “Save Galway Bay” and the names of more than 20 angling and protest groups, were addressed at the City’s Spanish Arch by Icelandic entrepreneur and wild salmon conservationist Orri Vigfusson. Mr Vigfusson said he was dedicated to restoring the abundance of wild salmon that formerly existed on both sides of the North Atlantic, and warned the Galway Bay project could “destroy” wild salmon stocks in the region. The gathering was also addressed by the Mayor of County Galway Thomas Welby, Niall Greene of Salmon Watch Ireland, Brian Curran of the Federation of Irish Salmon and Sea Trout Anglers, Derek Hamilton of An Taisce, Michael Canney of Save Galway Bay, Enda Conneely of the Aran Islands, and independent TD Noel Grealish, among others. Many of the speakers took issue with claims by Bord Iascaigh Mhara that fish farms do not cause environmental pollution.